Our newest sponsor Complex Institute of Education is another most welcome participant within the ASIS Victoria Australia Chapter. We are seeking information about activities of our Chapter members. 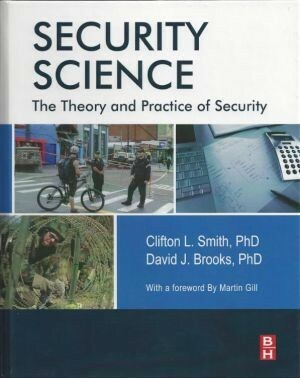 A must to add to your library on security management is the text “Security Science: The Theory and Practice of Security” (2013) by Prof Clifton Smith and Dr David Brooks. It is with pleasure that ASIS Victoria Australia Chapter welcomes ACG Corporate and Event Security as our newest sponsor. Check out our Events page and come to our legal breakfast on 24 April 2014 with a leading Magistrate supported by a Barrister to understand legal implications for security specialists. Industry standards and guidelines provide security professionals with a framework upon which they can develop security systems and minimise risk. ASIS International is a leader in this area. Funded by VicHealth, the interactive map will assist security professionals such as risk assessors understand the various risks that might be present in an area where there are nightclubs, gaming venues or other licensed premises such as bottle shops.